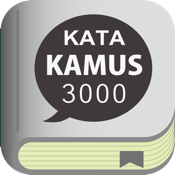 This app has the 3000 Indonesian vocabulary used in daily life. You can learn the word that often used in daily life efficiently by categories. In addition, you also can search words in English and Indonesian. You can use this anywhere, even on the plane. Can easily search for words in Indonesian and English. # 3000 of daily vocabulary are carefully selected. # 85 categories of conversation. # Can be used anywhere and in the offline. # Searching with simple specification. # There are English and Indonesian. For Indonesian, English is compatible language. language and how to read the alphabet even easier for you. language words as much as possible. receiving lessons or word translation. conditions will make learning is very efficient. You will be more resourceful in speaking, if unabashedly practice. Through this application, you can extend existing words in your memory.